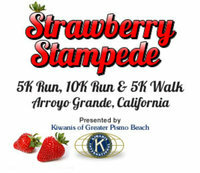 The Strawberry Stampede 5K Run, 10K Run, & 5K Walk is held in conjunction with the Arroyo Grande Strawberry Festival on Sunday of the Memorial Holiday weekend. 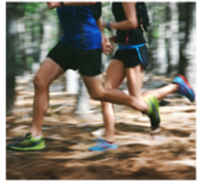 The Strawberry Stampede offers participants a choice of three separate events: 10K Run, 5K Run, or 5K Walk. All proceeds from the race go to benefit youth causes and programs in the local area. Presented by The Kiwanis Club of Greater Pismo Beach. Registration opens at 6:45 AM. 10K Run starts at 8:00 AM. 5K Run and 5K Walk start at 8:05 AM. Refreshments and awards immediately following race.